Hap and Leonard is a darkly comedic Southern noir chronicling the adventures of two unlikely best friends — Hap Collins and Leonard Pine. Hap is a white former conscientious objector, and Leonard is a black, openly gay Vietnam veteran. When Florida Grange goes missing in the Klan-infested town of Grovetown, Hap and Leonard set out to find her. 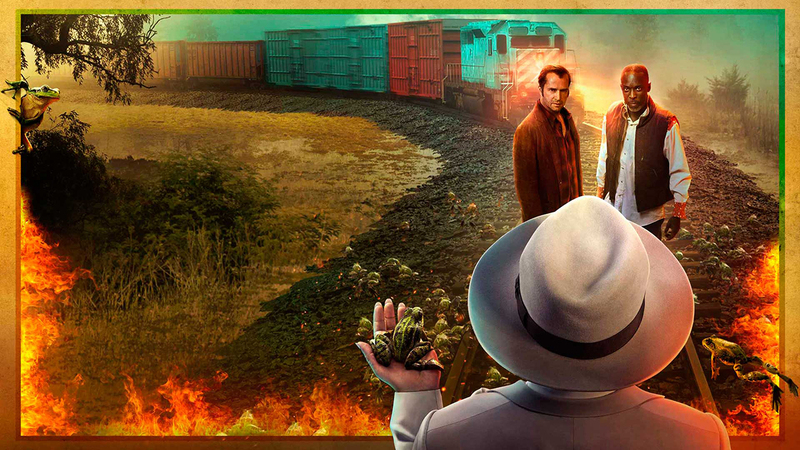 As the mystery unfolds, Hap and Leonard find themselves at odds with a cast of characters so tough they could chew the bumper off a pickup truck – including a possibly corrupt sheriff and the leader of the Caucasian Knights. Set in East Texas, against an impending storm of biblical proportions, Hap and Leonard scramble to locate Florida before the Klan locates them. The boys learn that the good guys don’t always win – and that nobody beats Mother Nature.